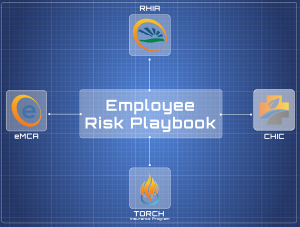 Will Your Employee Risk Playbook Be the Death of Your Hospital? As healthcare in America undergoes a game-changing transformation from treating illness to driving wellness, rural hospital leaders are embracing new models for providing the education, services and resources needed to support community health and inform healthy choices. Yet, even as these hospitals are responding to evolving regulatory and reimbursement standards, their economic stability is being threatened by persistent, obsolete assumptions and business practices. Comparing the current healthcare delivery transformation to what could or should change in the way hospitals approach risk and purchase insurance reveals a striking similarity; to do both successfully requires meaningful collaboration with outside entities. It also reveals one striking difference; very few hospital leaders are aware of, and even fewer are in support of, the need for change. Traditionally, buying employee health insurance is seen as a commodity purchased during an annual event facilitated by an agent or broker. 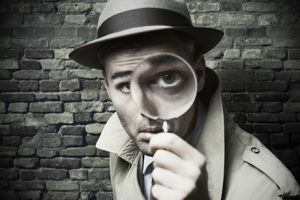 If your claims were reasonable, you expect only a small increase in your premiums… and, once in a while, you are pleasantly surprised to find no increase. You do not expect your premiums to go down unless you significantly reduce the value of your benefit plan, or you go out and get bids hoping to find a lower-cost provider. What you do expect, and what you have become accustomed to getting, is the annual premium increase. But, if you stop and ask why it has to be this way, you will find that like most investigations, following the money provides the answer. Just the opposite is true. Even though they have created a risk avoidance culture, the big insurance companies know risk is an asset when it is well managed. Their risk management strategy is simple; pool the risk of many clients and set premiums high enough to more than cover claims and overhead to generate huge profits. It’s a pretty slick trick. Aided by the myth that risk is to be avoided at all costs, insurance companies have convinced their clients to pay them to take away a valuable asset. Debunking a decades-old myth takes time, dedication, courage and a truth powerful enough to replace it. Assume for a moment that all risk is not evil and that insurance is not the only safe way to protect your hospital. Now, what would happen if you were to retain ownership of your risk instead of paying an insurance company to take it away? insurance and have figured out how to own it for themselves. The first step they take is to change their assumptions about risk and how it’s managed. Instead of having an agent or broker work on their behalf for a couple of days each year to negotiate the least possible annual premium increase, they partner with an advisor who works year-round to ensure their risk becomes an asset. Think about it; if you own your risk, you have complete control over how it is managed. If you give it away, you have very little control and little reason to care how it is managed. With a self -funded insurance plan, your hospital has a significant amount of skin in the game plus you have access to data you need to affect real change, in your organization. Yes, it is time to stop competing and start collaborating. When it comes to risk and insurance, collaborating with other hospitals to share best practices can accelerate your ability to generate significant return on risk (ROR). Taking back ownership of your risk not only means taking control of how it is funded, but also how it is reduced or eliminated. Many rural hospitals have successfully evolved from paying to download risk to leveraging it for greater success. Their success is due, in part, to a newly empowered ability to engage employees in creating a safer workplace and a healthier workforce. Fewer and smaller claims puts real money in everyone’s pockets. Collaborating with your employees to turn risk into an asset is only one of the new opportunities created by eliminating obsolete assumptions and business practices. Another is collaborating with other, like-minded hospital leaders to pool your insurance buying power. CHIC, RHIA, eMCA… what do these mean to you? Well, each one gives you access to the pooled buying power and collective wisdom of the national rural hospital community. Let’s take CHIC for example. When a rural hospital decides to self-fund its employee health benefits, there remains the need to purchase medical stop loss insurance to cover very large, unexpected claims. With our help and leadership, a group of 16 hospitals agreed to be the charter members of a captive insurance company called the Community Hospital Insurance Coalition (CHIC). We modeled what would have happened if they had been leveraging their buying power and managing good performance for the past two years. It turns out they would have accumulated $2.1m in funds. That’s a lot of money that can go to all sorts of better places than lining the pockets of big insurance companies. CHIC may sound like a no brainer, but these hospitals had to embrace a fundamentally different attitude about risk. Then they put in the work to understand the fundamentals of risk sharing, educated their boards so there would be no surprises in the board room and ultimately made a commitment to stop letting the big insurance companies control their future. I’ve heard countless stories from hospital CEO’s who are sick of just taking that 7%, 12%, or even 20% increase from carriers year after year with no good explanation for it. CHIC helps them take back that control and these CEO’s are now coming to us and saying, “how do we improve our employee’s wellness, how do we manage these high dollar drugs that are killing our health plan, how do we negotiate direct contracts with larger facilities to create a win/win?” This is where collaboration gets really interesting for rural hospital leaders. This national program delivers on a broad mandate to keep rural and community hospitals safely ahead in the game of risk and insurance management. 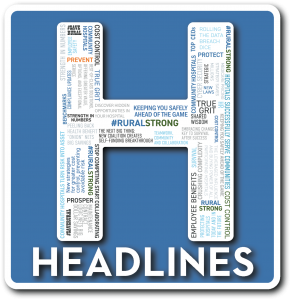 One rural hospital negotiating on its own simply does not have the clout a group of rural hospitals has when it comes to getting the best possible value and service from vendors and insurance companies. 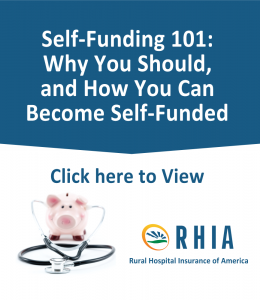 Membership in RHIA instantly gives your hospital access to the collective buying power of over 80 rural hospitals. In addition, to successfully deliver on the promise of its mission, RHIA champions thought leadership and the exchange of practical experience, new ideas, and innovative risk and insurance management strategies. eMCA stands for Equipment Maintenance Contract Alternatives and it is an idea come to life thanks to the collaborative efforts of RHIA program members, HealthSure and some of the country’s most forward-thinking insurance carriers. The way it works is simple, instead of agreeing to or renewing the OEM maintenance contracts that come standard with your medical equipment, eMCA consolidates equipment maintenance into one simple contract. The results are outstanding. Participants are reducing costs by 15 to 22% every year. Plus having a fixed cost means no more budget surprises and a single contract reduces administrative burden. Is it time to write your own playbook? If you believe or even suspect traditional risk avoidance is dead and you can no longer afford to outsource all of your risk to insurers… if you want to reduce your dependence on insurance… if you want to take back control from big insurance… if you want to avoid surprises in the boardroom… if you want to achieve sustainable cost control, improve prevention and ultimately, enjoy much greater protection and prosperity… then it is time start transforming your risk into an asset. You do not have to join CHIC or RHIA or even take advantage of eMCA. You do not have to call me or my team. But, for certain, you have to throw out the 30-year-old playbook written by insurance companies and start writing your own playbook. It’s happening everywhere. Healthcare providers are coming together to survive and succeed by collaborating with innovative ways. Bringing tried and true strategies implemented by large hospital systems for years to community hospitals. Join our panel of experts as they explain a proven strategy for gaining greater cost control and realizing measurable ROI from your employee health spend. 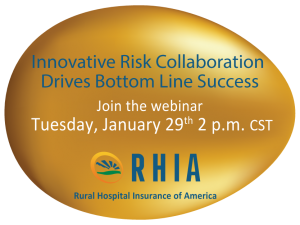 Hosted by RHIA (Rural Hospital Insurance of America), the panel will analyze a proven strategy through a coalition exclusively for rural and critical access hospitals. It’s your chance to understand how modern healthcare leaders are transforming risk from an expensive liability into a lucrative asset through the Community Hospital Insurance Coalition (CHIC). Learn about the achievements and possibilities that occur when like-minded organizations collaborate. Discover new opportunities for your hospital. Check out Brant Couch’s conversation with Dr. Bill Audier Ph.D. 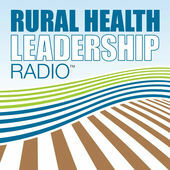 They explore the future of Rural Healthcare and the true grit of rural health care leaders. Have You Seen This Person! We’re Looking for A Players! Our purpose is to help healthcare organizations succeed in the increasingly complex world of risk and insurance, and we need to add more “A players” to our team to support the growth of our organization. HealthSure offers flexible work arrangements, a strong culture of empowerment, teamwork, and support to advance your career. ©2019 HealthSure. All Rights Reserved. I have been a proud member of the HealthSure family for over ten years. My main focus has been helping rural and community hospitals navigate through the complex world of risk and insurance. I try to understand the daily challenges rural and community hospitals experience in order to provide services available for them through their insurance program. I enjoy getting to know our hospital clients, their staff, and the communities they serve. At the end of the day, our team can say we have helped. Barry has a knack for taking the most complicated of situations and breaking them down to their most easy to understand components. He always has good advice and he builds trusting relationships. Everyone at HealthSure from our owners to our staff invests in having a positive impact on Healthcare organizations. 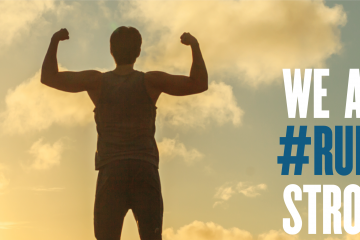 Our team works hard to create a culture of collaborations and we live HealthSure’s core values every day. Not only does that make HealthSure a great place to work; it also gives us the capabilities to give remarkable service to our clients. Medical Clinic of Houston has been using HealthSure as its insurance broker and risk management consultant since 1995. HealthSure is... a business partner because they provide solutions for their clients, not just sell insurance. Personally, I cannot imagine embarking into the vast, overbearing insurance industry without HealthSure at my side. Congratulations to the HealthSure team. 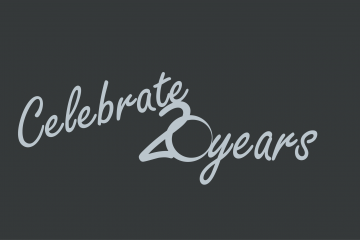 20 years in service to rural Texas is remarkable. We enjoy working with Barry, Brant and the entire HealthSure team. Thank you for being a friend to rural hospitals and TORCH. HealthSure has worked with us over several years to significantly reduce our costs and provide expertise. Their focus on the healthcare industry helps us navigate and prepare for issues that impact our business in away no other broker has before. We value our relationship with them and the impact on our bottom line.